Arthur (Art) Roy Pankey, 66, passed away August 31, 2018 after a courageous fight against cancer at his home in Libby, Montana with his family by his side. Art was born Oct. 30, 1951, in Butte, to Georgia and Roy Pankey. He attended public school in Butte, and graduated from Butte High School. He went on to study at Missoula Vo-Tech and received a degree in diesel mechanics, and then returned home to Butte where he worked for the Anaconda Company maintaining its large diesel vehicles until they closed their Butte operation in 1983. Art married Angelican (Angie) McClernan on November 25, 1983, and became the immediate father of Maria and John. 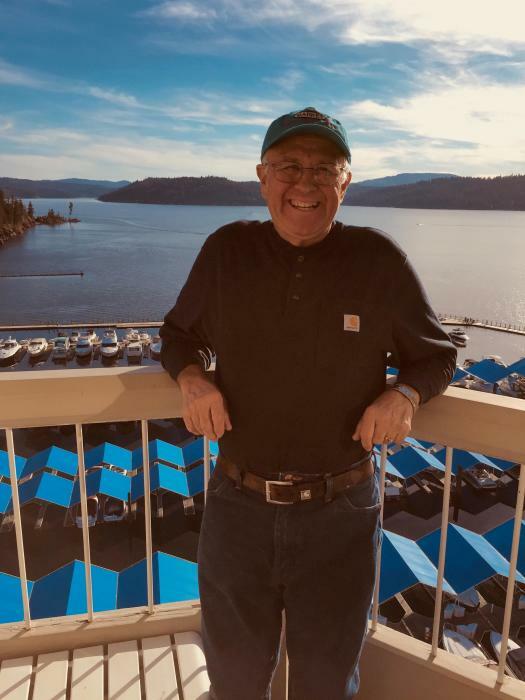 In the summer of 1984 the family moved to Libby where Art worked for the Montana Department of Transportation for 27 years when he retired in 2011. After he retired, he often helped his wife with her daycare in Libby. The kids adored seeing him come to fix things or take them to the bus stop, often referring to him as Papa Art. Retirement for Art was a joy, and there wasn’t a day he let pass by. His family and friends described him as the guy who would always “show up”. Whether it was the middle of the night on Christmas Eve when a snow plow had to be fixed, his grandkids sporting event, or a flat tire in the middle of nowhere; if you called Art he would drop everything and be on his way. Art had a passion for travel. He’d drive anywhere, including his daily patrols around the neighborhood in his Can-Am side-by-side. His favorite place to visit was always Hawaii. He and Angie made more than 20 trips to the islands through the years. Art never missed a chance to visit the warm ocean or a good waterslide. Art was a long time member of the Igniters Car Club, and spent many hours restoring his own classic 1957 Chevy Bel Air four-door hardtop attending many car shows around the region making so many friends along the way. Recently he volunteered with the local 4H Chapter connecting with children and supporting the development of the next generation. A memorial service for Art will begin at 10 a.m. Thursday, Sept. 6, 2018 at the Libby Christian Church, with a reception to follow. In lieu of flowers, memorials can be sent to Northwest CHC Specialty Care Program, 320 E. Second St. Libby, MT 59923, or Wings Cancer Support, P.O. Box 1160, Libby, MT 59923. Art was preceded in death by his parents, Georgia Row Pankey and Herbert Roy Pankey, of Butte; his sister, Patricia Huotte and her husband, Frank Huotte of Anaconda. He is survived by his wife, Angelica Pankey, their two children, Maria (Justin) Clemons of Libby, and John (Mindy) McClernan of Butte. He is also survived by grandchildren Sidney and Alli Clemons of Libby, Myles and Morgan McClernan of Butte, Drew Schleeman, Nicole (Corey) Tiensbold; great granddaughter Hannah of Wyoming; and two nephews, Frankie Pat Huotte, of Suffox, Va., and Mike Huotte of Anaconda. Arrangements were under the care of Schnackenberg Funeral Home of Libby. Online condolences and memories may be shared by visiting www.schnackenbergfh.com.